My interest in bats has grown ever since I took care of captive bats at the Rosamond Gifford Zoo in Syracuse, NY. It was the first time I could get up close and personal with bats and realized that they had wonderful personalities. This combined with their powered flight fascinated me. I previously worked with captive Western lowland gorillas during my undergrad to ask behavior-related questions, but I later switched to observing common vampire bats to see how exhibit design and visitors present at the exhibit might affect behavior. 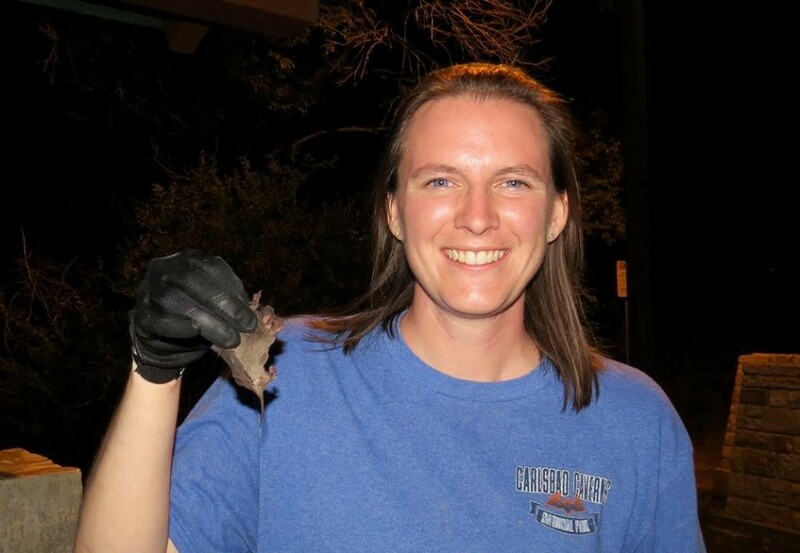 This fascinating combination of research, animal behavior, and bats pushed me to pursue a graduate degree. I was hooked by my first field research experience in South Africa in 2013. It was validation that field research was for me and it introduced me to my present collaborators and study system. During that initial time there, we followed samango monkeys in the Soutpansberg Mountains, but took an expedition to Kruger National Park where baobabs stood out in the landscape and often harbored birds of prey. It was also my first experience trapping for bats, but only the harp trap produced one bat as it was winter. 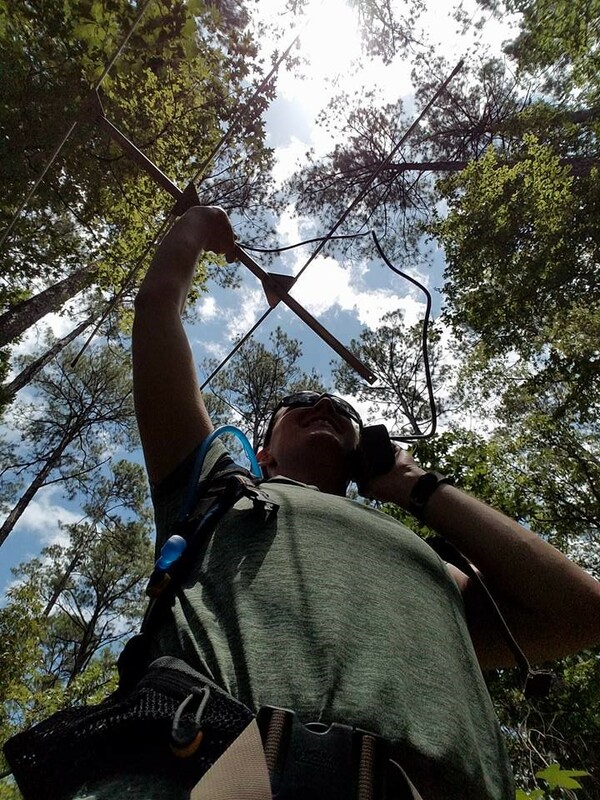 But after that one bat, my field experience, and interaction with this system, I knew I was going to pursue field research with bats in some capacity. Later I learned that little is known about baobab pollination, but fruit bat species are often pegged as providing that service. I will use this system to ask questions encompassing ecosystem services provided by bats and how behavior influences those services. This is the perfect combination of my interests in conservation, ecology, and animal behavior. Ultimately, I would like to continue doing research for a governmental or non-governmental organization with the specific purpose for aiding the conservation of species and educating the public about bats.